(PNN) PPSIMMONS News and Ministry Network: Krauthammer - OBAMA'S SHADOW GOVERNMENT GOAL: DESTROY AMERICA! 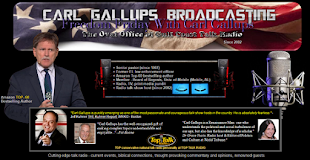 Krauthammer - OBAMA'S SHADOW GOVERNMENT GOAL: DESTROY AMERICA! I do not understand how living in a country with its democracy (republic) established over 200 years ago, and now, for the first time in history, suddenly we have one of our former presidents (Obama) set up a group called "Organizing for Action" (OFA). OFA is 30,000+ strong and working to disrupt everything that our current president's administration is trying to do. This organization goes against our Democracy, and it is an operation that will destroy our way of governing. It goes against our Constitution, our laws, and the processes established over 200 years ago. If it is allowed to proceed then we will be living in chaos very much like third world countries are run. What good is it to have an established government if it is not going to be respected and allowed to follow our laws? If you had an army some 30,000 strong and a court system stacked over the decades with judges who would allow you to break the laws, how much damage could you do to a country? We are about to find out in America! Our ex-president said he was going to stay involved through community organizing and speak out on the issues and that appears to be one post-administration promise he intends to keep. He has moved many of his administration's top dogs over to Organizing for Action. OFA is behind the strategic and tactical implementation of the resistance to the Trump Administration that we are seeing across America, and politically active courts are providing the leverage for this revolution. OFA is dedicated to organizing communities for "progressive" change. Its issues are gun control, socialist healthcare, abortion, sexual equality, climate change, and of course, immigration reform. OFA members were propped up by the ex-president's message from the shadows: "Organizing is the building block of everything great we have accomplished Organizers around the country are fighting for change in their communities and OFA is one of the groups on the front lines. Commit to this work in 2017 and beyond." OFA's website says it obtained its "digital" assets from the ex-president's re-election effort and that he inspired the movement. In short, it is the shadow government organization aimed at resisting and tearing down the Constitutional Republic we know as AMERICA. Paul Sperry, writing for the New York Post, says, "The OFA will fight President Donald Trump at every turn of his presidency and the ex-president will command them from a bunker less than two miles from the White House." Sperry writes that, "The ex-president is setting up a shadow government to sabotage the Trump administration through a network of non-profits led by OFA, which is growing its war chest (more than $40 million) and has some 250 offices nationwide. The OFA IRS filings, according to Sperry, indicate that the OFA has 32,525 (and growing) volunteers nationwide. The ex-president and his wife will oversee the operation from their home/ office in Washington DC. Think about how this works.. For example: Trump issues an immigration executive order; the OFA signals for protests and statements from pro-immigrant groups; the ACLU lawyers file lawsuits in jurisdictions where activist judges obstruct the laws; volunteers are called to protest at airports and Congressional town hall meetings; the leftist media springs to action in support of these activities; the twitter sphere lights up with social media; and violence follows. All of this happens from the ex-president's signal that he is heartened by the protests. If Barack Obama did not do enough to destroy this country in the eight years he was in office, it appears his future plans are to destroy the foundation on which this country has operated on for the last 241 years. If this does not scare you, then we are in worse trouble than you know. So, do your part. You have read it, so at least pass this on so others will know what we are up against. We are losing our country and we are so compliant. We are becoming a "PERFECT TARGET" for our enemy! The first two parenthesis of this article are mine (Rev. Joda Collins). Bring on the 2 million page IG report, let the indictments fly. Time for Indictments and treason trials for these scumbags who attempted to subvert our Republic. WE SHOULD go all the way back to 2007 and investigate Pelosi for ALTERING 50 State Presidential certifications, that she "illegally" removed "CONSTITUTIONALLY QUALIFYING LANGUAGE" from these documents,... before then sending them out to the states for approval? How many in Congress are QUALIFIED DOCUMENT EXAMINERS, and would be able to recognize a forged Birth Certificate thst was presented to them for "ELIGIBILITY" ? 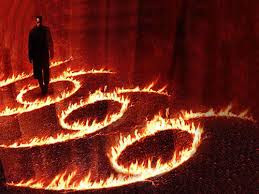 Bring on Sherriff Arpaio's and Mike Zullo's case agsinst Obama and his forged credentials. "The two enemies of the people are criminals and government, so let us tie the second down with the chains of the Constitution so the second will not become the legalized version of the first." Breaking Israel News | Latest News. 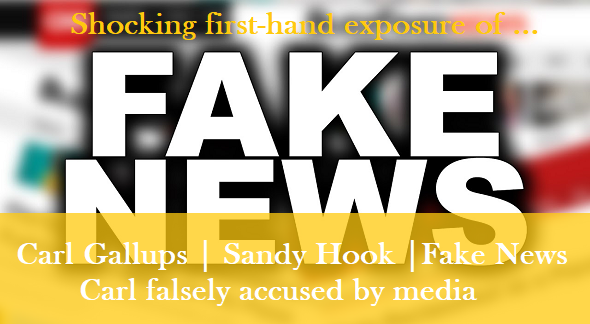 Carl G. | Sandy Hook | FAKE NEWS! Archives play on all devices! Download! The Wall Street Journal: “President Trump has every right to feel liberated"
Does the antichrist require a LITERAL "rebuilt temple?" 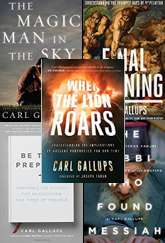 Check out all of Carl Gallups' bestsellers!